Yesterday’s station wagon is today’s SUV but there are dozens to choose from. 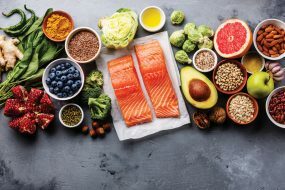 So, where do you start? This month we look at a couple that may hit your sweet spot, just in time for summer vacation. 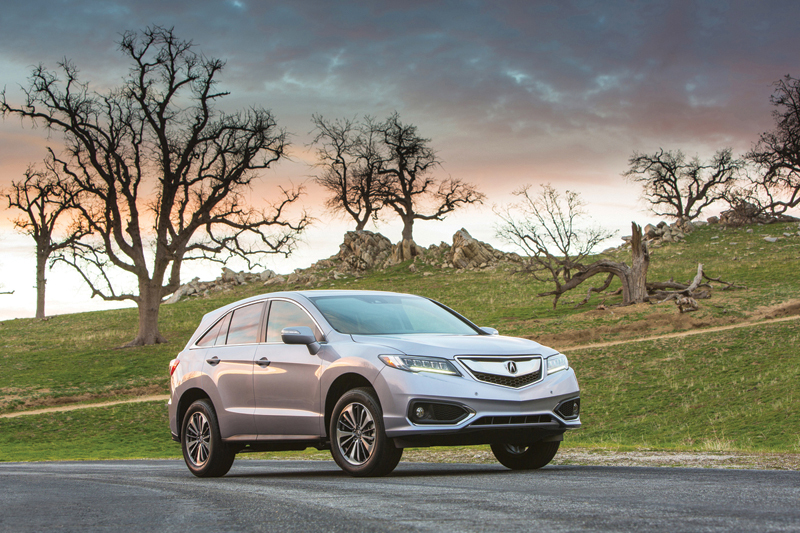 Honda’s luxury brand is known for quality and the Acura RDX is no exception. The 2017 model offers a no-nonsense approach to luxury with its relatively conservative exterior design and straight-forward interior layout. One of our biggest pet peeves is too many trim levels or option packages but that is not the case with the RDX. Choose from three — AcuraWatch Plus, Technology and Advance. Front wheel drive is standard, all-wheel drive is an option. The only engine, a 3.5-liter V-6 with 279-horspower, is a perfect match to this vehicle. A smooth shifting six-speed automatic transmission helps return a reasonable 23-MPG combined fuel mileage rating. If there is one gripe, it’s the infotainment system’s dash-mounted control knob and the split-screen display; you may like it, we think there are easier systems in the marketplace. The RDX starts at $36,645. A nicely optioned AWD version with the Advance Package hits $43,520 but we think it hits the sweet spot for families looking for a nice caviar with their champagne. Compare to the Lexus NX, Infiniti QX50 and the Mercedes GLC. The first-generation Mazda CX-5 was a winner, not only in sales but value, looks, reliability, and the list goes on. Fast forward to the all-new 2017 model and we think you’ll be even more impressed, as we were. Updated exterior design includes a more aggressive front fascia that integrates the grille, headlights and front splitter. Well done. Sculpted, rocker panels give the lower door panels a beefy look and the rear sun shade salutes a mini spoiler. 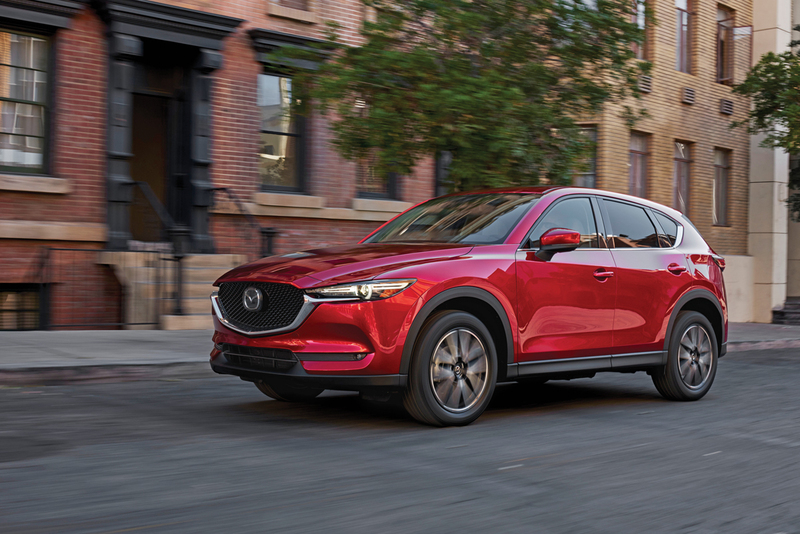 The CX-5’s normally aspirated 2.5-liter 4-cylinder engine delivers an adequate 187-horses to the drive wheels through a six-speed automatic transmission. The EPA says you can expect to get a combined mileage rating of 26. The dash just makes good sense and the materials are top notch, including the leather seating. Second-row seating allows adequate legroom for adults and now folds flat to help those large items load easier from the rear. We found the infotainment system confusing to navigate. Starting at $24,045, Mazda CX-5 competitors, Honda CRV, Toyota RAV4 and Ford Escape, will have a hard time going toe-to-toe.